Sure, the so-called "Me Generation" has different priorities and goals than their parents' generation. No one is arguing that fact. Generally speaking, millennials are more interested in maintaining healthy eating habits, spending their money on experiences rather than physical possessions, and working tirelessly to get out from under all that crippling student loan debt. And of course, one can't overlook the fact that they grew up surrounded by sweet, sweet internet. Earlier generations had to rely on things like books to find information—imagine! They had to actually drive to stores for things instead of ordering items online and having them delivered to their doorstep in two days. They had to walk to school each day, uphill BOTH WAYS. Life was tougher! People were more resilient! Blah blah blah... we're not buying it. Below you'll find a list of some of the outrageous things that the media has chosen to blame on the Millennial generation recently. What do you think? Are we being too hard on today's 20- and 30-somethings, or did they bring all this hate upon themselves by enjoying those half-caf lattes and avocado toast? You decide. Aw, shucks. "Casual dining" restaurants like Buffalo Wild Wings, TGIFriday's, and Applebee's are losing business and closing stores like crazy because those pesky Millennials don't like their calorie-laden menu options. According to Business Insider, the younger generation doesn't care for sit-down meals much at all, preferring takeout and at-home meal preparation services like Blue Apron and Plated. 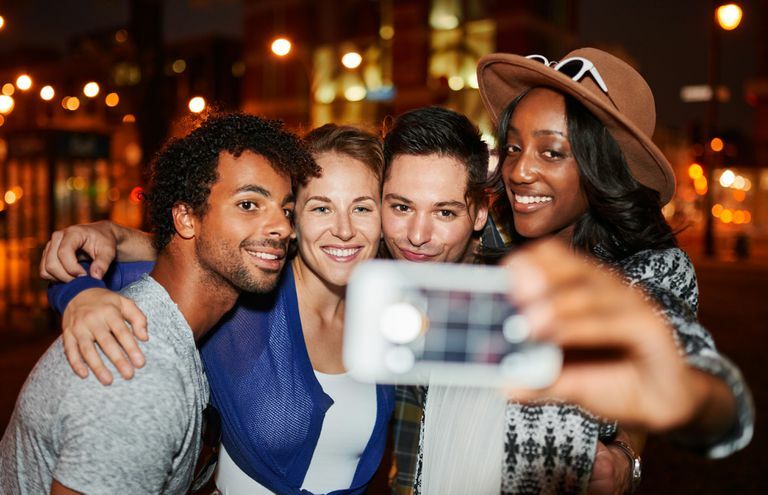 Millennials are more health-conscious as well, and maybe they don't feel like loading up on all those fried cheese appetizers that have helped expand Americans' waistlines for the past 20 years. Gone are the days when someone will spend six month's salary on a diamond ring. De Beers reports that diamond sales have dropped from 32% in 1990 to 27% in 2015, and sales continue to drop. Why is that? Millennials are in debt and lots of it. In fact, it was recently reported that millennials are in more debt than their Baby Boomer parents. The majority of the debt is in student loans which has reached a national debt of $1.3 trillion. If Millennials are going to break the bank it appears they’re going to do it for their educational needs before they sacrifice it on a gem that has no physical value. As it turns out, Millennials don't care for the piss water passed off as beer that our parents used to drink by the gallon. Beer drinking itself has become passé, and the younger folks tend to gravitate towards fancier craft beers now instead of opting for the traditional red and white can of Bud that used to be synonymous with 'Murica. The Atlantic posits that this shift in drinking trends is caused by the same reason that Millennials don't want to bond over a bucket of chicken wings at Buffalo Wild Wings anymore; they're more health-conscious and have much less expendable income than previous generations had. "[A]lmost half (48%) of all U.S. consumers believe bar soaps are covered in germs after use, a feeling that is particularly strong among consumers aged 18-24 (60%), as opposed to just 31% of older consumers aged 65+." Those cheap Millennials are killing everything, even paper napkins. "Not paper napkins!" We can hear you cry out, but yes; it's true. Millennials are choosing to buy paper towels but not napkins because "it's just one less thing to buy." First paper napkins, now boxed cereals? What is the world coming to? The Washington Post reports that cereal sales have fallen almost 30% in recent years, largely because "Almost 40 percent of the Millennials surveyed by Mintel for its 2015 report said cereal was an inconvenient breakfast choice because they had to clean up after eating it." Okay, if washing a bowl and a spoon is too much effort for you, that is kinda-sorta lazy. Young people don't play golf. They don't play "the sport of kings," they don't watch it on TV, and they don't reserve a lot of respect for professional golfers (you can blame Tiger Woods for that last part). This golf apathy has grown so much that fans of the sport fear that within the next 52 years, golf will disappear entirely. The days of clocking in at 9 AM and working straight through until 5 PM are long gone, but again, it's not because today's young workers are lazy. Au contraire! It's because with technology in our pockets, we basically never stop working. Millennials are changing the way the American work force gets stuff done. They're working from home more, checking email at all hours, and demanding more work flexibility from employers. Now, instead of shutting down the computer at the end of the day, employers rely on employees who are never really out of touch. Sounds pretty win-win for employers, but for the Millennials, not so much. Why spend $15 to sit in a crowded theater full of other people when they could be at home in pajamas, Netflix and chilling? As we said earlier, Millennials are definitely not lazy, and they are definitely very health conscious. So why is participation in competitive races and "fun runs" (hello, oxymoron) dwindling so fast for people ages 18-40? Once again, the answer lies in cost. Millennials are too poor to afford all those costly race entry fees, according to Women's Running. Millennials are flocking to indoor fitness classes and trendy studios that offer memberships and access to multiple workouts for the price of one race entry. It stands to reason that if a person can't afford to buy their own home (damn that avocado toast! ), they won't need to hit home improvement stores to buy stuff for said non-existent home. Home Depot and Lowe's have reported a huge dip in sales, and naturally it's all the Millennials' fault. It's not so much that Millennials don't like football; it's more that they don't want their kids playing the sport. There's more information about injuries like concussions in today's day and age, and not surprisingly, many parents are prohibiting their kids from playing tackle football, which will eventually lead to a dearth in potential football stars hired by the NFL. The Christian Science Monitor has more here. Refinery29 tells us that sitcoms like Friends, How I Met Your Mother, and even Seinfeld may soon be no more. The "friends hanging out in their natural habitat" scenario is no longer a popular format for sitcoms among Millennials, largely because it just doesn't look that way in real life anymore. People don't gather in groups at a coffee shop every day; they just text each other or click "like" on each other's social media posts. Plus, the "why wait?" people of the internet age don't like waiting week to week for the next installment of their favorite show. Why wait when you can binge-watch? Damn it, Millennials! When will the madness end? Now you're killing off the American Dream, too? You monsters! Recent studies have shown that Millennials earn 20 percent less than their parents did at their ages. They own half the total assets as Baby Boomers did at their age. Financial forecasts show that the idea of buying a home is now way out of reach for many young people today. They're graduating college with huge amounts of debt, working longer hours than any previous generation, and getting paid less than their parents made... which is... somehow their fault? Oh yeah, they're clearly ruining everything! Get a job, you bums! Oh, wait... you already have two jobs but you still can't afford to eat a delicious double-taco-fatty-melt at Applebee's? Well, we're sure that's your fault, too, somehow. We'll figure out how and get back to you.